Golden Dance Studios - Dance / Fitness classes for Atherton, Leigh, Tyldesley. Join a FREE taster class! 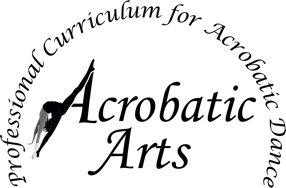 Golden Dance Studios is a successful and professional dance school which provides a high standard of training in all aspects of dance. We have been established for over 27 years, with state of the art facilities in Atherton, Manchester. We pride ourselves on our reputation for being one of the leading dance schools in the North West. We provide a high standard of professional classes in Ballet, Tap, Modern Jazz, Theatre Craft, Street Dance, Musical Theatre, Gymnastics/Acro and Fitness. We ensure that every student is confident and happy, and encouraged to achieve their highest potential with the aim of having fun whilst learning to dance. You can be assured of high quality teaching in a safe and caring environment, where every student will experience many enjoyable hours of dancing. 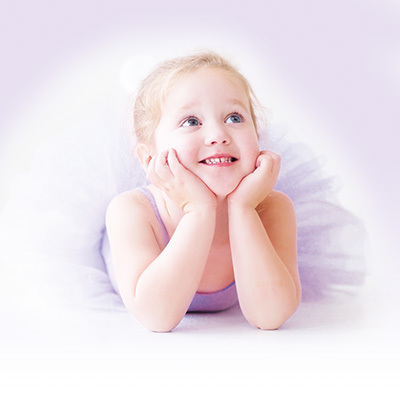 We would like to be the dance school to help your child learn the love of dance as much as we do. 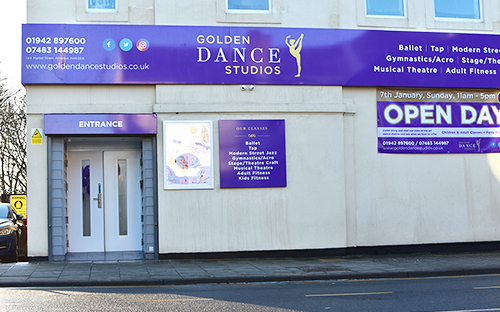 We look forward to welcoming you to the Golden Dance Studios. 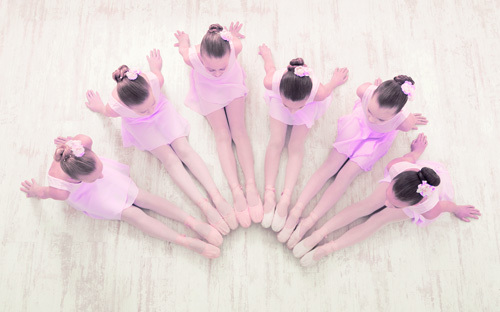 Golden Dance Studios has a purpose built dance school, with fantastic facilites. Our dance academy has fully equipped mirrored dance studios, air conditioning, changing facilites, reception area, refreshements and a fully stocked dancewear shop. Our daughter has danced at the Golden Dance Studios since the age of 3 years. She has performed in amazing shows and gained fantastic marks in all her exams. We cannot thank her dance teachers enough for the confidence she has gained since being at the school. Her love for dance is echoed by the talented teachers. Not only do they do the fun elements of dance, but they also take pride in the presentation and technique of dance. The attention to detail is displayed in every routine our daughter performs. My daughter has been attending the Golden Dance Studios for many years, and loves every single lesson. Every dancer is made to feel like they are part of the Golden Dance studios. It is a friendly, professional and welcoming school where dancers can develop their skills, whilst having lots of fun and forging long term friendships. The shows are wonderful and showcase the talents of every single child at the school. All dancers have the opportunity to perform in a professional theatre, and they look and feel like stars. They are well prepared for every show and dance exam and parents are kept informed with school news, so nothing is ever rushed. I can’t say enough about this fabulous dance school. My daughter has attended the Golden Dance Studios since the age of 2 years old. Now at 10 years, she has flourished as a dancer, and has had an excellent experience at many dance shows. Her confidence has progressed, and she enjoys every aspect of the dance school. As a parent, I am exceptionally proud of her achievements, including her dance exams, and the shows are top class. My daughter has been attending the Golden Dance Studios for over 10 years. In this time she has made many lovely friendships, and has had many enjoyable years dancing. The teachers are dedicated and professional, and ensure that every child is dancing in a safe and fun environment. She has excelled in all her dance exams and as thoroughly enjoyed dancing in shows at professional theatres. We all have many happy memories of our daughter dancing with the Golden Dance Studios. © Copyright Golden Dance Studios. All Rights Reserved.